Clover has everything you need to make running your business easier. From accepting payments to managing inventory to tracking employee time, Clover® Station does it all in one place. 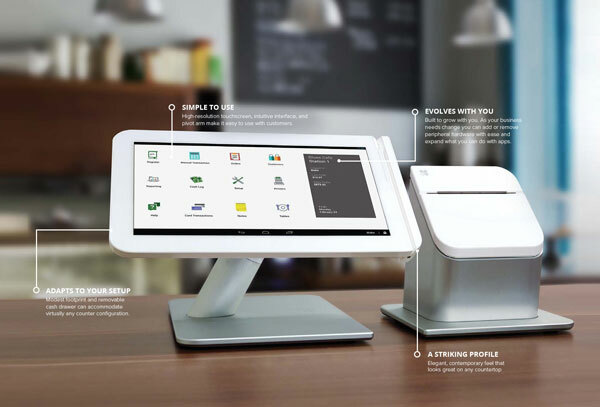 Clover Station's hardware bundle, software, app marketplace and merchant account allows you to do it all- including the acceptance of EMV-compliant card transactions1. Take payments, view inventory, track sales, manage employees, and add custom apps for your business. Take advantage from hundreds of applications within the open market place of the Clover system that allows you to do anything you can imagine! Access your business information such as inventory, sales, employee time sheets and much more from any device anywhere! Dedicated support for all Clover products. 24/7/365. Process transactions in offline mode even if your internet is down. Interested in the Clover Station?